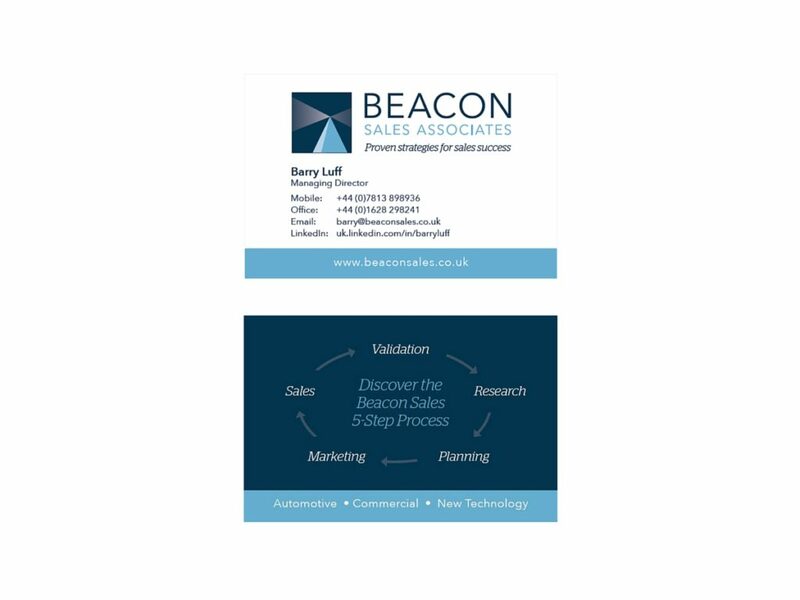 Beacon Sales Associates was founded by Barry Luff, an experienced sales consultant who provides clients with an array of sales strategies and tactics to grow profitable sales. He wanted to update the look and style of Beacon Sales branding to mark the evolution to a business model based on a collaborative associate approach. The rebranding of Beacon Sales Associates should evolve and modernise the beacon imagery. Ideally it should also retain a blue colour palette. The Beacon Sales Associates colour palette is based on the colour blue. This supports the professional approach of the business. it also reinforces the mutual trust on which sales relationships are based. The monochrome palette is uplifted with a bright fresh blue. The abstract beacon icon supports the brand metaphor of a beacon bringing light and leadership in growing sales.